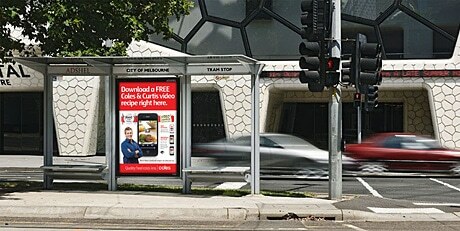 Fifty outdoor advertising sites in Melbourne have been equipped to allow consumers to download exclusive cookery recipes and video cookbooks via either WiFi or NFC. 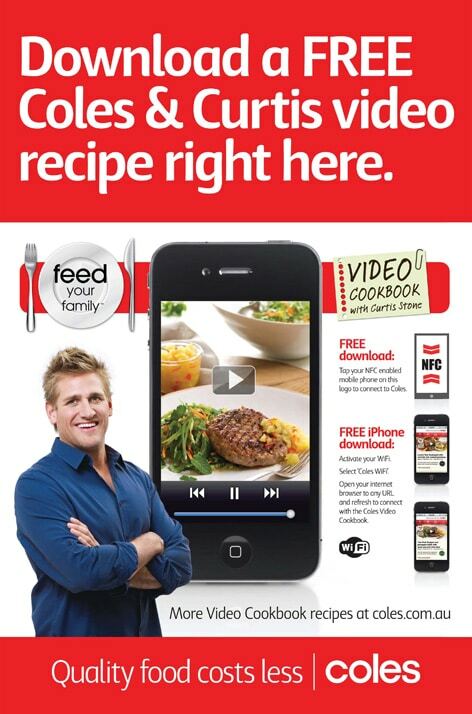 COLES & CURTIS: Get recipes from a celebrity chef while you wait for the bus. Click to enlarge. Australian supermarket chain Coles has partnered with outdoor advertising giant Adshel to run a two week out-of-home advertising campaign using both WiFi and NFC. Fifty Adshel sites in Melbourne have been equipped to enable consumers to retrieve exclusive digital Coles content, such as recipes and cookbook videos by popular Australian chef Curtis Stone, via their phone’s WiFi connection or by simply tapping their handset against the NFC tag on the panel.